If you have not thought about the concept of LPN liability insurance then you are in danger of finding yourself in very deep water indeed. Many nurses assume that because they are good nurses and because they are relatively unimportant in terms of the larger scheme of the hospital that they will never be personally sued. For this reason they also rely heavily on the nurses liability insurance offered by their company. Something that nurses do not realize is that it is not only doctors that get sued. Nurses are also in danger of this which is why it is necessary for them to have some form of nurses liability insurance. If you do not have this liability insurance you are laying yourself open to financial ruin. If I get nurses liability insurance I stand a higher chance of being sued. The facility I work for has nursing liability insurance, so why should I get my own? If I’m a good nurse why would I ever need LPN liability insurance? Below we will consider these issues in greater detail and discover why they are myths and why an attitude of this kind may lead you into big trouble. This is simply not the case. Having this liability insurance can only increase your chances of being sued if you inform a patient or someone you work with that you have nursing liability insurance and how much you are covered for. It does not make you any more of a target than you would be by people who like to spin stories to get money easily. In fact there is no way for your possession of liability insurance to even be revealed until the court case is in session. Liability simply does not make you a target like many people think. In fact if you are attacked by someone looking to make a quick buck then you will probably be chosen at random. If this occurs and you do not have the liability insurance required to defend and protect yourself then you will stand the chance of being ruined financially as well as losing your career. These are risks that you simply cannot afford to take. In short you are still at a far greater risk of victimization if you don’t have insurance than if you do, so be sure to get a good nursing liability insurance as soon as possible. Although this is probably true you cannot rely on this coverage. In many cases the nurses liability insurance offered by your facility will have limitations and this may mean that you will not be adequately covered should something go wrong. On top of that your facility may decide that you are a convenient scapegoat for a problem. If there is a conflict of interests between you and the facility you work for you may quickly find any coverage offered by that facility suddenly disappear. This is why you need personal LPN liability insurance as well as the coverage offered by your facility. Being a good nurse does not protect you from those fraudsters and tricksters out there who want to take advantage of you and make some money out of your situation. Even the best surgeons and physicians get sued form time to time. Errors can happen and mistakes can be made by even the best nurses, which is why it is essential that you are covered by your own personal liability insurance. Without nursing insurance you will be unable to deal with this situation. You will struggle to find the funds to defend yourself and clear your name. We will now consider some of the reasons to have this kind of liability insurance in more detail. Firstly it is important to remember that doctors are not the only ones who get sued. We have looked at this idea briefly already. Nurses are also open to being sued whether or not they are in the wrong and this is why nurses liability insurance exists. Health care professionals at any level are open to being sued at some point in their lives and you simply cannot assume that it will never happen to you because you are ‘just a nurse’. The coverage offered by your company may have limitations. You may not be covered for part-time work. We have already looked at the idea of the coverage offered by your facility having limitations. You may not be covered for everything. This can be financially devastating unless you have some cash set aside for emergency situations such as this, but this is unlikely. LPN liability insurance is needed because cases like these can cost in excess of millions of dollars and you want to be adequately covered if this ever happens to you. 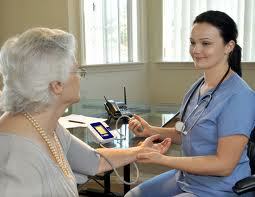 Many nurses work part-time, or have one full-time job and one part-time job. In many cases you may find that you do not in fact have adequate liability insurance in place for the part-time job. It is highly unlikely that the facility you work for offers nursing liability insurance for nurses that only work there on a part time basis in which case you will be in serious trouble if you end up in a lawsuit based on your actions at your part time job. This is another compelling reason for you to have private liability insurance coverage. Another thing that may arise is the fact that you and your employer may experience a conflict of interests, if this happens you will suddenly realize that the liability insurance offered by your company can disappear very quickly. Whether or not you are in the wrong there are many reasons why your facility may want you to be convicted of the offense you are accused of committing. Make sure that you have your own personal nurses liability insurance to protect you if and when this very unfortunate state of affairs occurs to you on a personal level. A friend asks you if the medication they are on is appropriate. You say yes and the friend suffers ill effects, blaming you. You rush to assist in an emergency situation at the park but are not able to save the patient. The patient’s family blames you. These are very important things to keep in mind if you want to protect yourself and your assets against those people who are interested in making money out of you with false claims. The best way to protect yourself is through private LPN liability insurance. What Will Be Covered Under A Good Nurses Liability Insurance Plan? Professional liability insurance, public nursing liability insurance, including errors and omissions, malpractice, legal and other claim-related expenses, legal defense against allegations of abuse, assault and sexual misconduct, and legal defense against allegations of discrimination. If your plan covers all of these things and more then you probably have a pretty good nurse insurance coverage plan and you do not have anything to worry about, if your plan does not have all of these features, look for one that does. There are many people out there who will start a court case simply in the hope that they’ll get some money out of it in the end. Companies far prefer to blame an individual for something that goes wrong. You must be qualified in your field. You must be qualified in your country of residence and practice. You must show proof that you have all the necessary education. You must have a clean loss record. You must provide proof that you have not been subject to previous claims made or filed against you. You must prove that you have no knowledge of any claims likely to be made against you in the future. These are easy enough eligibility requirements to meet. However you must note that eligibility requirements for LPN liability insurance policies can differ rather significantly between providers and as a result you need to be sure that you are properly informed about the eligibility requirements for the particular policy that you are interested in applying for. If you don’t meet these requirements there are still some nursing liability insurance packages out there that you will be able to apply for in any case. You will just have to pay higher rates. Firstly you need to visit the NSO website. This link will take you directly to the application page. Then you simply need to enter the state that you work in and the type of nursing liability insurance you are looking for. Remember that options and limitations and so on can differ significantly from state to state so you need to be very specific in your choices at this stage. There are of course other liability insurance companies out there, but NSO is one of the most consistent as well as one of the best providers. At the very least this is a good place to start your search. Remember as well, though, that it is always a good idea to shop around for the best coverage at the best prices. If possible don’t base your decision solely on the price of the coverage options that you have. Rather compare all aspects of each policy you come across until you find the one that suits both your needs and your budget at a manageable level. This is not a decision that should be made lightly. Now that you are equipped with all the facts about LPN liability insurance you are hopefully more aware of the necessity of having insurance of this kind. If you don’t have insurance then you should look into getting some right away. If you do have insurance you should re-examine your policy and decide whether or not it is really the best policy that you can find. If it isn’t then maybe you should start looking for a better form of insurance to make use of. The important thing is that at the end of the day you have nursing liability insurance that covers you well.